What scientists have discovered is this. When healing word frequencies are combined with healing frequencies found in certain images, the effect on the health of the body is even greater. In one study, a group of metastatic cancer patients using daily positive imagery for a year achieved significant improvements in NK (natural killer) cell activity and several other measures of immune functioning. At Michigan State University, researchers found that students could use imagery to improve the functioning of certain white cells called neutrophils, which are important immune cells in defense against most diseases, including viral, bacterial, and fungal infection. The most powerful healing, however, is only achieved with the trifecta effect. When the highest healing frequency in sound is combined with the most positive, highest frequency words and images, it is an unbeatable combination of healing power. The Master Key is Dr. Alex Loyd’s cutting edge push button healing system. It was designed based on the hundreds of research studies proving the life-changing benefits of reprogramming your cellular memories. We're taking it up another level and reprogramming those cellular memories even faster with advanced brain entrainment technology. Many people think programs like this are made to make you "feel better". The Master Key was designed to literally reshape your cells from the inside out so you BECOME better... physically, emotionally, and spiritually. It is estimated that an average person has 10,000 thoughts or images flashing through the mind each day. Each of these images creates millions of neurological connections in the brain. These connections form energy, which influences the negative or positive frequencies in our being. Scientists know that in the average person, roughly 75% of all thoughts are negative. These negative thoughts produce CHAOTIC frequencies which, as we talked about, may cause health problems from depression to hopelessness, acne to arthritis, headaches to heart disease, ulcers and to all kinds of infections. Unlock Your Healing Potential - Your cells are currently being "held hostage" by internal belief systems causing chaos within your energy levels. The Master Key helps to unlock these deep-rooted, negative beliefs and free your cells to heal themselves naturally and more efficiently. Prevent Future Internal Stress & Disease - By eliminating the chaos within your energetic field, you automatically become more resistant to future stress and disease so you can continue living your life with a new "shield" surrounding you and your health. Re-energize Your Immune System - The worse your cellular memories are, the weaker your immune system is. As you reprogram your cellular memories from negative and abnormal to positive and healthy, you add a new spark and vigor to your delicate immune system! Awaken Your Spirit - A mind filled with negative beliefs and thoughts has a "narrow as a nail" window for peace, joy, happiness, gratitude, health and hope. As you remove the negative blocks and chaotic hertz, you allow room for more positive, harmonious energy to fill your mind, body and spirit. 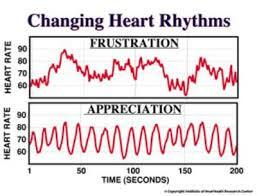 Build A Higher Stress Threshold - As you begin to reprogram your cellular memories, they become stronger and more resilient to everyday stresses like road-raged drivers... cranky bosses... and screaming kids. You'll notice that each day becomes more peaceful, automatically.